Great for families and college students alikesubmitted by Sunni A. - Sep 05, 2017 |Recommended: YesTo be perfectly honest, I was expecting the transition from dormitory life to living in an apartment to be much more difficult. But it really hasn't been. Orchard Park is a great place to live, especially if you have a difficult course-load and want a little bit of peace and quiet. My neighbors are super friendly, and everything is really nice. While the location is a bit far from everything, it's a decently safe area, and security is pretty tight. All in all, I would recommend this apartment complex to anyone seeking a safe, quiet, nice place to live. Just watch the budget, as quality comes with a price tag attached. Pleasant Staysubmitted by Thomas C. - Aug 31, 2017 |Recommended: YesGreat place for two college students. Simple living, spacious apartment. Pets on the grounds wasnt an issue for us. 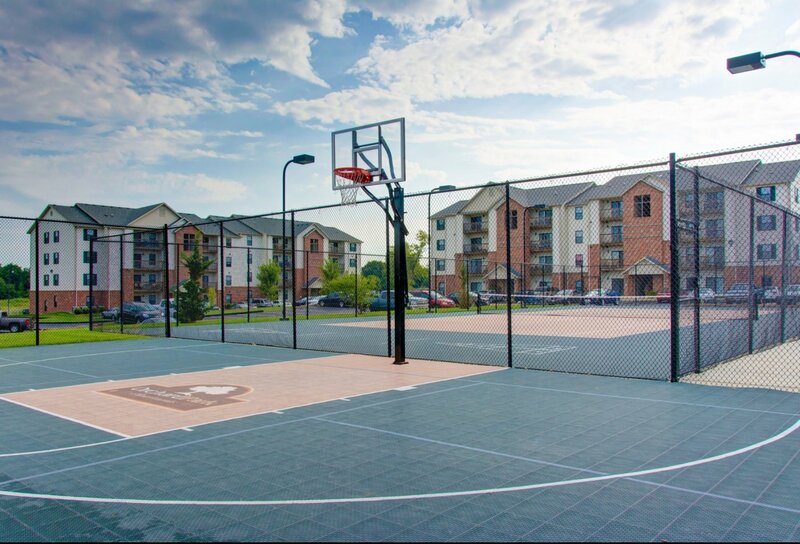 Very nice amenity have courts and huge grass area to play outside on. Enjoyed living there for two years. response from property - Oct 03, 2017 Thomas, we greatly appreciate your review and your time spent at Orchard Park! I love living heresubmitted by Michele C. - Aug 28, 2017 |Recommended: YesI really do not have any complaints except for parking. That is a minor thing so not to concerned about it. I love the apartment itself and I haven't really had any problems with noise at all. Convenientsubmitted by TONY E. - Aug 26, 2017 |Recommended: YesI have gotten two violations on the second it stated the third results in an eviction process as my lease started the end of July it is currently the end of Augusta for a 12 month lease. All the violations had no warnings to them the first one was for noise that wasn't confirmed second one was for a dog I was sitting for the weekend sitting being the key word and they left a notification at my door while I was at work to let me know the dog I was sitting was not on my lease so I have to pay the pet fee the dog has literally been in my apartment for half a day. At this point the staff if totally inconsiderate but it is a convenient location which is why I am currently residing at Orchard Park. Good amenities, but really thin walls. I can hear the words of my downstairs neighbors music.submitted by Denise P. - Aug 26, 2017 |Recommended: YesNice staff and a lot of things to do for fun. response from property - Oct 03, 2017 Thank you for the review Denise! If you ever feel like the noise is excessive, please don't hesitate to contact the office or our security patrol. Great submitted by Marilyn C. - Aug 05, 2017 |Recommended: YesEveryone is always very nice and helpful whenever there is an issue. The grounds are very well kept and they stood out to my roommate and I. I always speak highly of the complex. response from property - Oct 03, 2017 Thank you for your review Marilyn! Please let me know if there is anything we can do for you! Best in Townsubmitted by Thomara W. - Aug 01, 2017 |Recommended: YesHonestly I love living towards the outer part of town. It's quite and safe and gives me peace of mind knowing that security patrols nightly. Its accessible from the highway as well as road from town. response from property - Oct 03, 2017 Thank you for the review Thomara! We appreciate you choosing Orchard Park as the place you call home! Goodsubmitted by Teri M. - Jul 26, 2017 |Recommended: YesNice place to live. A nice, clean, safe place to livesubmitted by Elizabeth K. - Jul 05, 2017 |Recommended: YesIt is a nice place to live family orientated with great amenities. Staff and maintenance are helpful and responsive. response from property - Jul 06, 2017 Thank you for taking the time to leave a review! We appreciate your residency at Orchard Park. Please let us know if there is anything we can do to make your time here more enjoyable. response from property - Oct 03, 2017 Robyn, we greatly appreciate your review and appreciate you choosing to make Orchard Park home for you and your family! It is a really nice neighborhood, the employees are really helpful, and I feel safe here.submitted by Caitlynn T. - Jun 30, 2017 |Recommended: YesIt feels like home. There is a lot of stuff to do and its for a good prize.